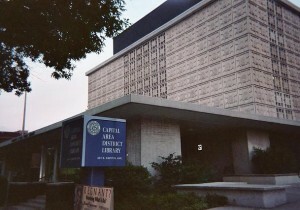 The library is located at at 401 South Capital Avenue. We will be meeting downstairs in Conference Room C.
The State Convention is the highest ranking party business meeting of the Socialist Party of Michigan and is empowered to amend the SPMI State Bylaws and State Platform, adopt, amend, and rescind State Convention resolutions, elect the SPMI’s State Executive Committee officers, and elect the SPMI’s delegates to the Socialist Party USA National Convention. SPMI State Conventions are held only once every 12 to 24 months, with the aim of full state party membership participation. All SPMI members from around the state are therefore strongly expected to attend. There is no fee for entry to the Convention, and voting credentials are automatically accorded to all Michigan SPUSA members in good standing. Non-member observers are also welcome to attend. Please contact the SPMI State Office if you will be lacking a mode of transportation and seek assistance with arranging a possible car pool with another member coming through your area. A collection hat will also be passed around to help subsidize the travel fuel costs of any members who would not otherwise be able to attend. Sen. Sanders drew the second biggest crowd of the entire campaign in Denver. The only bigger crowd by official count wasHillary Clinton’s rally in New York last weekend Sen. Sanders is pulling off the most impressive feat of the campaign. People are excited and showing up for his events.